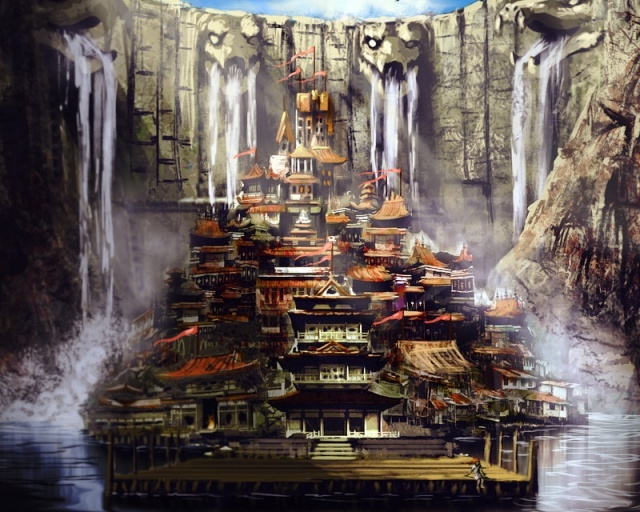 Hawthorn City is a city of legends located in a cratered island similar in shape to the basin the Junkhard is in, but filled with water. Hawthorn City lines the ridge and sits over the water on very sturdy stone and wooden stilts. It's not the largest of cities, but it's very dense. The city carries up to be worked into the sheer cliff faces and end in a second smaller crater at the top of the ridge that use to be a volcano, in this smaller crater is Hoarthorn, the upper district of Hawthorn where the greatest trainers are given home here. Hoarthorn is built on the water surrounded by cliff faces with four serpent heads jutting out and holding waterfalls. 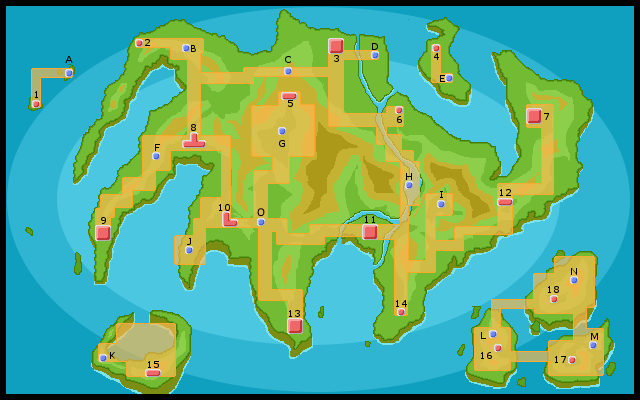 On top of each of these four heads are where the housing and battlegrounds of the Elite Four are located, while the champion gets the honor of living in the Champion's Palace. An overly exaggerated name but still refers to the largest and finest home Hoarthorn has to offer. It's less of a home, however, because they are moved to housing with the rest once defeated. Hawthorn City is accessed at any time, and once you are given a place in Hoarthorn you can access lifts and get past security to enter Hoarthorn, but until then to enter the place one must pass Victory Road, which is a cave system with sections of underwater caverns and waterways that only a truly experienced individual could pass. If you don't have all eight gym badges they wont even let you attempt the Victory Road. Hawthorn City has draw to many trainers who aspire to one day take residence withing Hoarthorn or to challenge the Elite Four and become a Champion. As a result the entire city is teeming with pokemon life, most of it owned by someone and pokememon are allowed to roam free outside of their pokeballs making for a surreal enviornment full of pokemon from all over the world. It's a major trade center where trainers, breeders, and researchers alike all gather and socialize, comparing pokemon, battling, trading, or just giving tips or wanting to see all the different pokemon.